Cleopatra's family ruled Egypt for more than 100 years before she was born around 69 B.C. 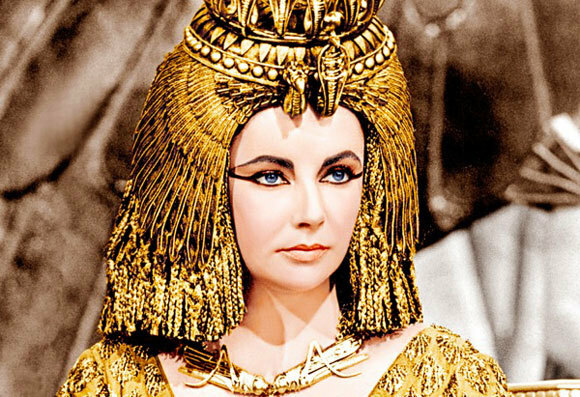 The stories and myths surrounding Cleopatra's tragic life inspired some books, movies, and plays, including Antony and Cleopatra by Shakespeare. 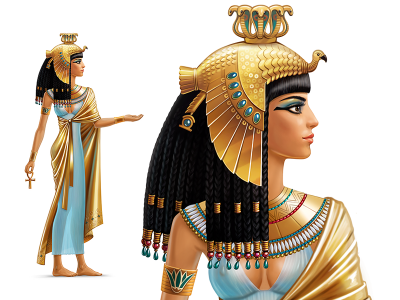 Cleopatra has become one of the most well known ancient Egyptians. Queen. The last ruler of the Macedonian dynasty, Cleopatra VII Thea Philopator was born around 69 B.C. The line of the rule was established in 323 B.C., following the death of Alexander the Great and ended with Egypt's annexation by Rome in 30. The era began when Alexander's general, Ptolemy, took over as ruler of Egypt, becoming King Ptolemy I Soter of Egypt. Over the next three centuries, his descendants would follow in his path. At its height, Ptolemaic Egypt was one of the world's great powers. Cleopatra's father was King Ptolemy XII. 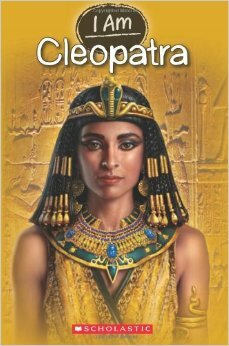 Little is known about Cleopatra's mother, but some speculation presumes she may have been her father's sister, Cleopatra V Tryphaena. The debate also surrounds Cleopatra's ethnicity. While it was believed for a long time that she was of Greek descent, some speculate that her lineage may have been black African. In 51 B.C., Ptolemy XII died, leaving the throne to 18-year-old Cleopatra and her brother, the 10-year-old Ptolemy XIII. It is likely that the two siblings married, as was customary at the time. Over the next few years, Egypt struggled to face down some issues, from an unhealthy economy to floods to famine. Political turmoil also shaped this period. Soon after they assumed power, complications arose between Cleopatra and Ptolemy XIII. 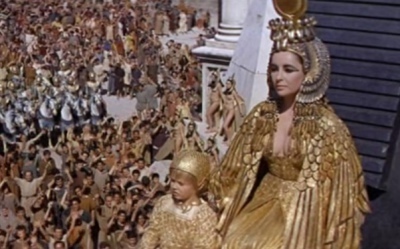 Eventually, Cleopatra fled to Syria, where she assembled an army to defeat her rival to declare the throne for herself. In 48, she returned to Egypt with her military might and faced her brother at Pelusium, located on the empire's eastern edge. In pursuit of his rival, Julius Caesar followed Pompey into Egypt, where he met and eventually fell in love with Cleopatra. In Caesar, Cleopatra now had access to enough military muscle to dethrone her brother and solidify her grip on Egypt as sole ruler. Following Caesar's defeat of Ptolemy's forces at the Battle of the Nile, Caesar restored Cleopatra to the throne. Soon after, Ptolemy XIII fled and drowned in the Nile. In 47, B.C. Cleopatra bore Caesar a son, whom she named Caesarion. However, Caesar never acknowledged the boy was his offspring, and historical debate continues over whether he was indeed his father. In 41 B.C., Marc Antony, part of the Second Triumvirate that ruled Rome following the murder of Caesar, sent for Cleopatra so that she could answer questions about her allegiance to the empire's fallen leader. Just like Caesar before him, Antony was embroiled in a battle over Rome's control. His rival was Caesar's great-nephew, Gaius Octavius, also known as Octavian (who became the future Emperor Caesar Augustus). Gaius Octavius, along with Marcus Aemilius Lepidus, rounded out the Second Triumvirate. Antony, who presided over Rome's eastern areas, detested Gaius Octavius and saw in Cleopatra the chance for financial and military support to secure his rule over the empire. Cleopatra had her motivations, as well. In exchange for her help, she sought the return of Egypt's eastern empire, which included large areas of Lebanon and Syria. In the year 31 B.C., Cleopatra, and Antony combined armies to try to defeat Octavian in a raging sea battle at Actium, on Greece’s west coast. The clash, however, proved to be a costly defeat for the Egyptians, forcing Antony and Cleopatra to flee back to Egypt.